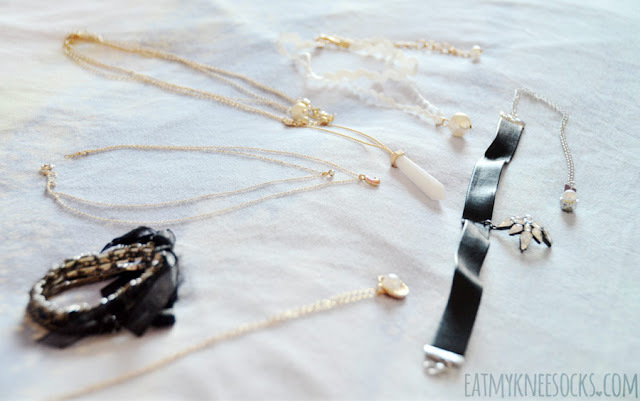 Born Pretty Store Review: Layered Necklaces, Chokers + More! 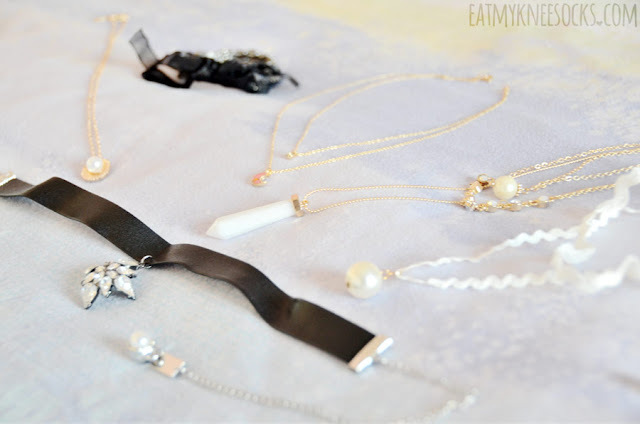 It's been quite a while since my last Born Pretty Store review, but fear not: today I'm back with a review of six different pieces from their extensive jewelry collection! Read on for all the details on this mini jewelry haul, including chokers, layered necklaces, and more! 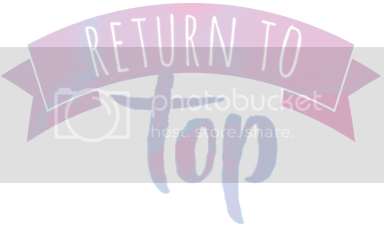 I haven't written a review for Born Pretty Store in a while, so in case you're a newer reader and haven't seen my previous BPS reviews, here's a bit of background info. Born Pretty Store is an online shop that sells jewelry (think necklaces, rings, bracelets, earrings, etc. 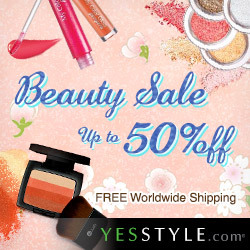 ), makeup tools, fashion accessories, nail art products and tons more, all priced at jaw-droppingly low prices with free worldwide shipping! 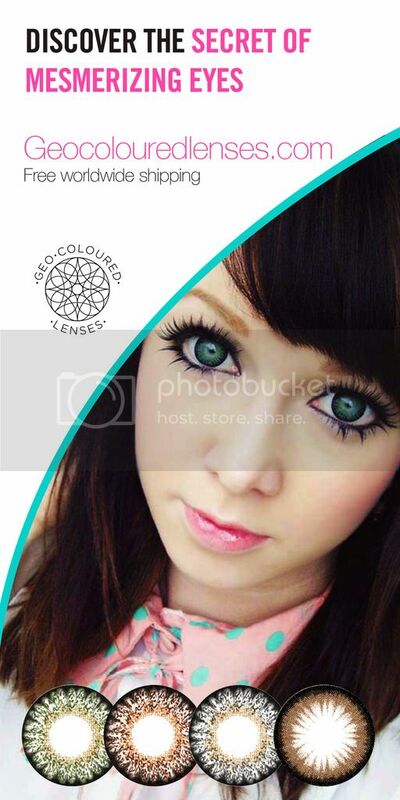 Previously, I've found their products to look very accurate to store photos, and their selection of styles is endless. Although the quality can be hit or miss, the prices are too low to resist, and I've been quite satisfied overall with the jewelry that I've gotten from them! 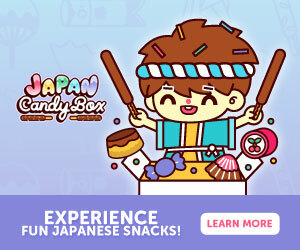 Plus, you can get 10% off your purchases at BPS with my code MFUT10! Now, onto the individual items. 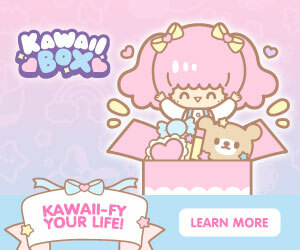 I got six items, including 3 chain necklaces, 2 choker necklaces, and 1 bracelet. 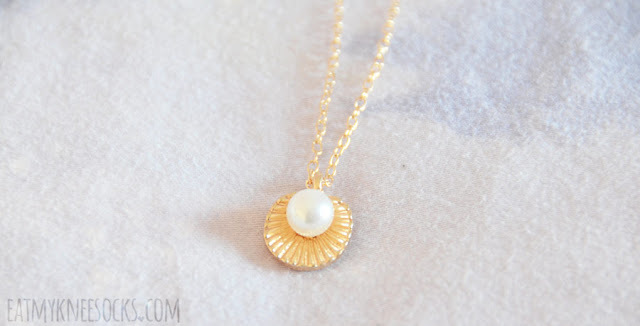 The first piece of jewelry from Born Pretty Store that I'll be reviewing is a pearl-embellished seashell pendant necklace, costing just $1.73. 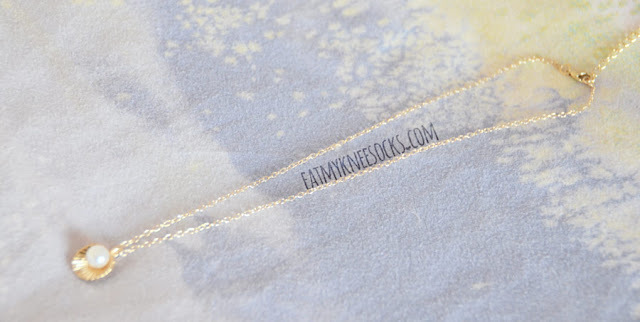 This necklace is sold in two colors: silver and gold. While both colors are gorgeous, I went with the gold simply because I have less gold necklaces, and I liked the contrast between the white pearl and the golden shell design. 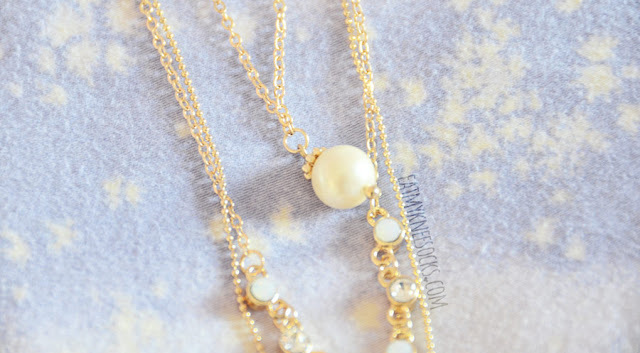 The necklace looks exactly as pictured, with a thin golden chain, 3D seashell pendant, and smooth pearl. It's a small, subtle accent piece that's perfect for everyday wear, paired with any sweater, top, or dress to add a cute yet elegant touch. It's lightweight and so far hasn't shown any signs of fading; the chain isn't the sturdiest, but for less than $2, I'd say it's absolutely worth it! The second necklace that I got was a layered crescent moon necklace, sold for $3.28. This dual-layered golden chain necklace features a dangling crescent moon pendant with glitter and star accents, along with a shorter chain with a simple rhinestone. 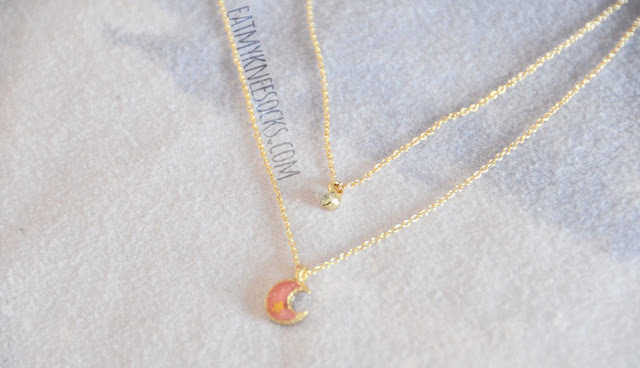 The moon pendant comes in three colors: blue, pink, and ivory (a light yellow); I went with pink. Although the craftsmanship evidently isn't the most detailed, this necklace is nonetheless a very pretty piece. It's delicate, dainty vibe is perfect for adding a subtle touch to your outfits, and the glittering moon pendant is super unique. 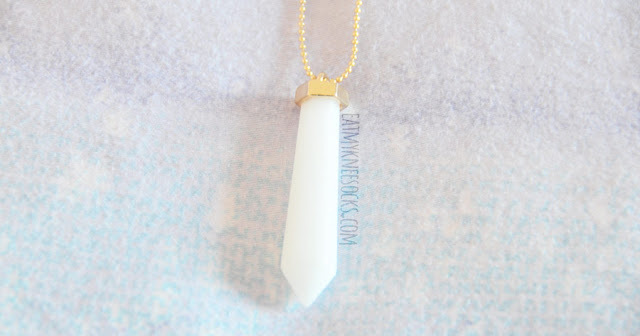 I could see this necklace selling for a lot more in regular stores, and I like it more than I'd expected to! 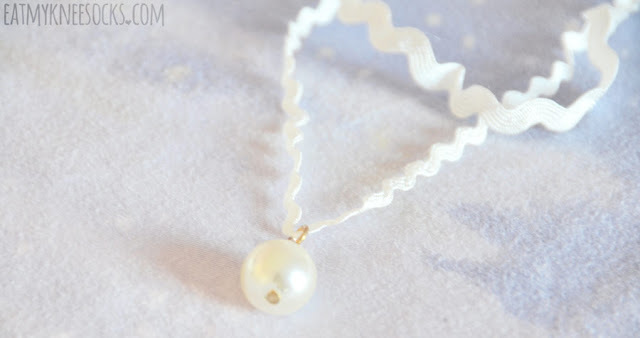 The third necklace that I got was a triple-layered necklace featuring a dangling pearl, rhinestone embellishments, and a white quartz-like pendant, all for just $4.96. Although this necklace was one of the pricier pieces, it's still less than $5, and I'd say it's absolutely, 100% worth the price. The quality is pretty impressive given the cost, and the lengths of the individual chains are perfect. I love the look of layered jewelry, but finding necklaces with complimentary lengths and matching styles to wear together is too much effort for my lazy self, which is why I'm a huge fan of layered necklaces. This 3-tier necklace is perfect for giving that expertly-layered look, with rhinestone, pearl, and quartz-like accents that are eye-catching and elegant. This necklace pairs well with lace bralettes, basic crop tops, sweaters, and even dresses for a look that blends femininity with sophistication, adding a pinch of boho-chic vibes, and it's one of my favorite pieces ever from Born Pretty Store! The fourth item that I got, and the first of the two chokers, was a layered white pearl choker, sold for $2.75. I'm a huge fan of chokers, and even though I already have so many, I couldn't resist picking this one. 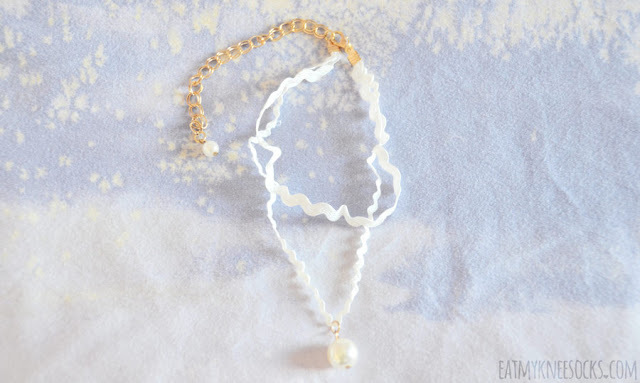 The look and feel of this choker is very different from the 90s grunge-style tattoo chokers, vintage velvet chokers, or rocker-style leather chokers that I see a lot of around here; instead this stretchy white choker has a very innocent, girly touch, similar to a lot of choker necklaces from Korean brands that I've seen from stores like Yesstyle. The quality is great for a piece costing less than $3; I wouldn't be surprised if the chokers selling at $10-$20 were the same quality. The clasp is sturdy, and the fabric is pretty comfortable; my only complaint is that, compared to the model photos, the actual choker is thicker in width. The thickness detracts a bit from the elegance of it, but I love it nonetheless. The fifth item that I picked out was a black leather choker with a bold pendant, sold for $6.99. As with the white choker, this is a style that I've found to be more popular in Asia and less common in America, and this uniqueness was a big factor in why I felt the need to review it. 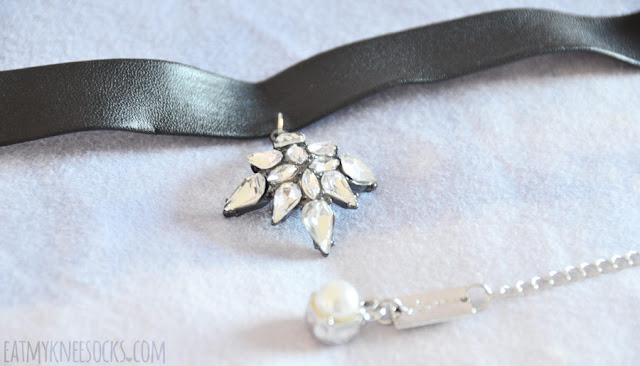 I've previously reviewed a very similar star-pendant leather choker from BPS (review here) that I was very happy with, and I'm happy to say that the same goes for this one! The choker is a bit heavy because of the large rhinestone pendant, but it's beautiful and looks exactly as pictured. It's not the most comfortable piece, but I love the bold yet elegant vibe it gives, with an extended pearl-embellished chain that adds a nice accent at the back. This was the priciest piece of the six, but for just about $7 it's still a lot more affordable than it'd sell for in other stores. 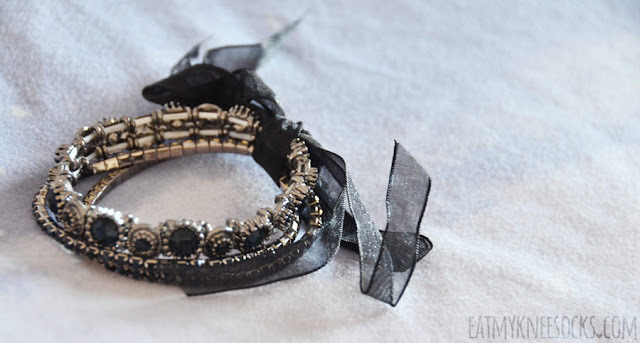 The last item that I got this time from Born Pretty Store was a ribbon-accented layered black bracelet. I can't find the link for this bracelet anymore, but BPS has tons of other layered bracelets if you're searching for a similar style. 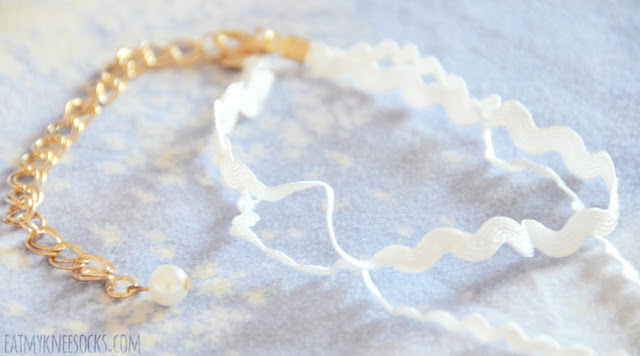 This piece includes two thinner bracelets and one thicker bracelet, tied together by a sheer bow-shaped organza ribbon. The ribbon was a bit folded from delivery, but otherwise this bracelet is perfect. The quality is great, and I love the sophistication of the dark, bold gemstones contrasted by the intricate engravings. 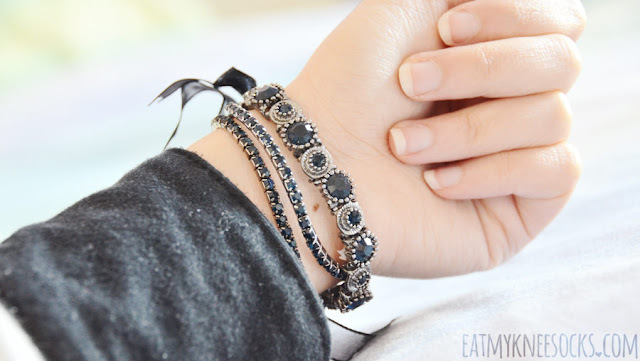 I'm not one to typically wear bracelets since they tend to get in the way of things, but I really love the look of these, and I'd say that they're, quality-wise, the best item I've ever gotten from Born Pretty Store! This was one of my happiest, if not my #1 happiest experience with Born Pretty Store. 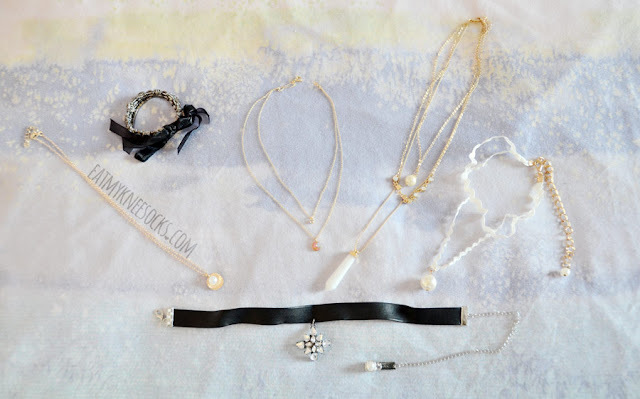 All of the items exceeded my expectations for such inexpensive prices, and there are definitely some pieces here, like the leather choker, layered bracelet, and 3-tier necklace, that are my new go-to jewelry picks! Shipping took some time and some items, like the white choker, weren't 100% accurate to store photos, but overall this was a wonderfully pleasant experience. 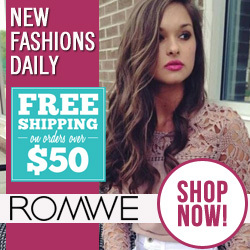 Don't forget to use my code "MFUT10" for 10% at Born Pretty Store! 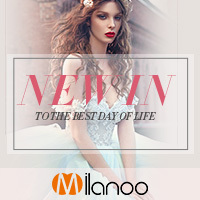 The article has well details for fashionable look. I prefer to wear Diamond rhinestone choker the most because it makes me look different. Diamonds have no comparison for its elite and elegant appearance and price.